The peak of the migrant crisis in Europe has passed but many of those who came are here to stay and governments must focus on helping them integrate, the OECD said Thursday. 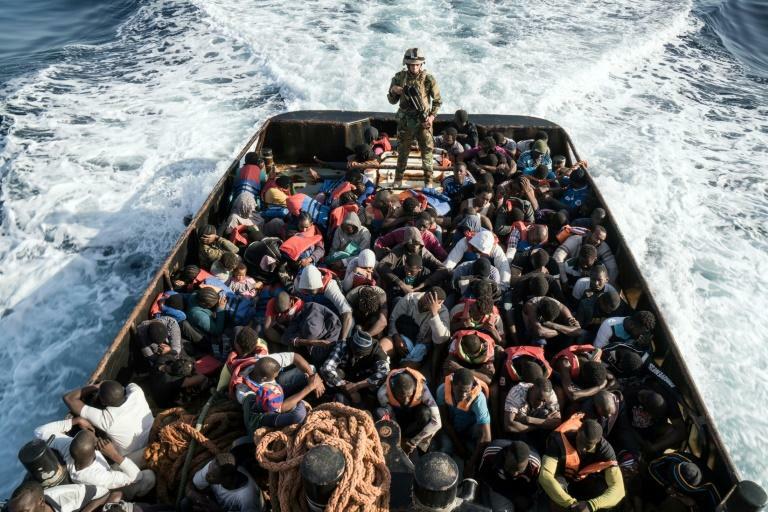 In the first six months of this year, about 72,000 migrants landed on Europe's shores, around 12 times fewer than in the second half of 2015 when the crisis peaked, the Paris-based body said in its annual report on international migration. But many of those who came, fleeing war or persecution, "are likely to stay for some time, at least until their home countries are safe again", said Stefano Scarpetta, OECD Director for Employment, Labour and Social Affairs, in the report. The countries who took in migrants "should focus on helping refugees who are likely to stay in the host country settle and integrate in the labour market and society," he said. "This calls for a rethinking of both domestic policies and international cooperation," Scarpetta added. Despite numbers coming to Europe tailing off, in 2016, around five million people still migrated to OECD countries, mainly fleeing war in three countries: Syria, Afghanistan and Iraq. The figure compared to 4.7 million entries in 2015, making in the third successive year of rising arrivals. Turkey alone is currently providing temporary protection for three million Syrians. OECD countries registered more than 1.6 million asylum requests, with at least two-thirds in European states, and 1.5 million were granted. For the fourth year running, Germany received most of the applications in 2016 with 675,000 requests, even though most of those lodging the applications had arrived in the waves of migrants of 2015. Around 260,000 people arrived in the United States and requested asylum, 120,000 in Italy, and France and Turkey each took in around 80,000, the OECD said. Around half of the requests came from migrants who left Syria, Afghanistan and Iraq. The OECD found that different nationalities were concentrated in specific countries. Gambians and Nigerians, for example, tended to remain in Italy, their first port of call in Europe, while Sudanese nationals moved on to France and Iranians headed for Britain. Presenting the report, OECD Secretary-General Angel Gurria said international efforts were needed to address "negative perceptions" about migration, "which are often rooted in a misconception of the benefit that migrants can bring to recipient countries." The report said some countries had stepped up their integration efforts, praising the examples of the fast-track integration programme introduced in Sweden and the adoption of the first-ever law on integration in Germany. But it said integration policies were falling short in other countries.